Hello Productions has been busy recently and we thought we’d give our readers a peek at some of our recent events! 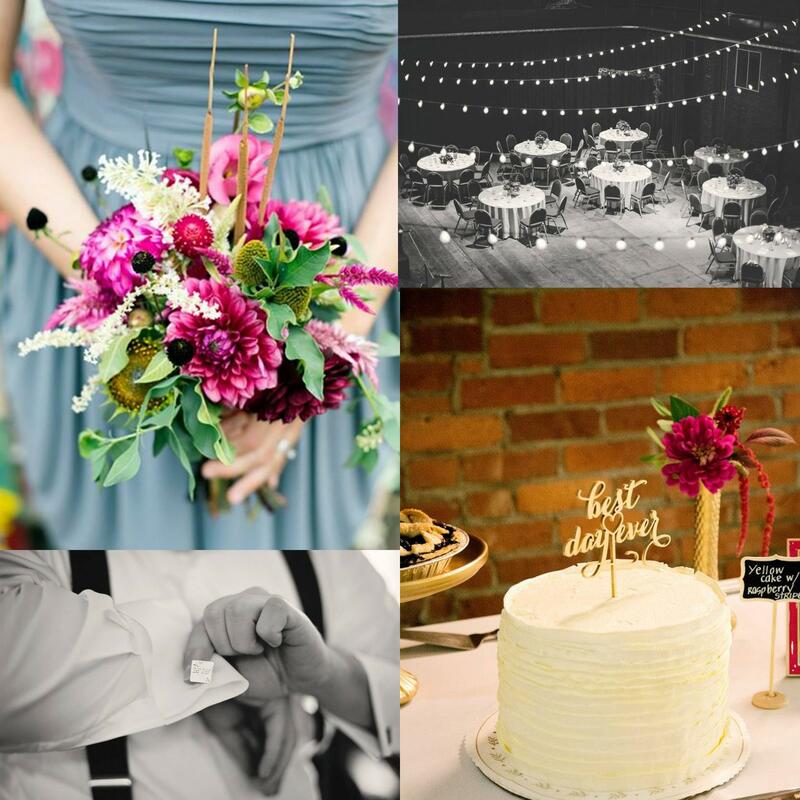 From baby showers to weddings, Hello Productions has been busy planning and executing events in both Pittsburgh and Raleigh. And keep in mind that our planning services don’t stop there! We are happy to help with destination event as well! Want more details and photos? See more from these events (and others!) on Hello Production’s Natasha’s Facebook Page. You can also find more past events in our Hello Productions Portfolio! ‘Tis the season for showers of all kinds, and of course, this means countless days spent pondering the perfect theme, favors, cakes, games and details that will make the day special. 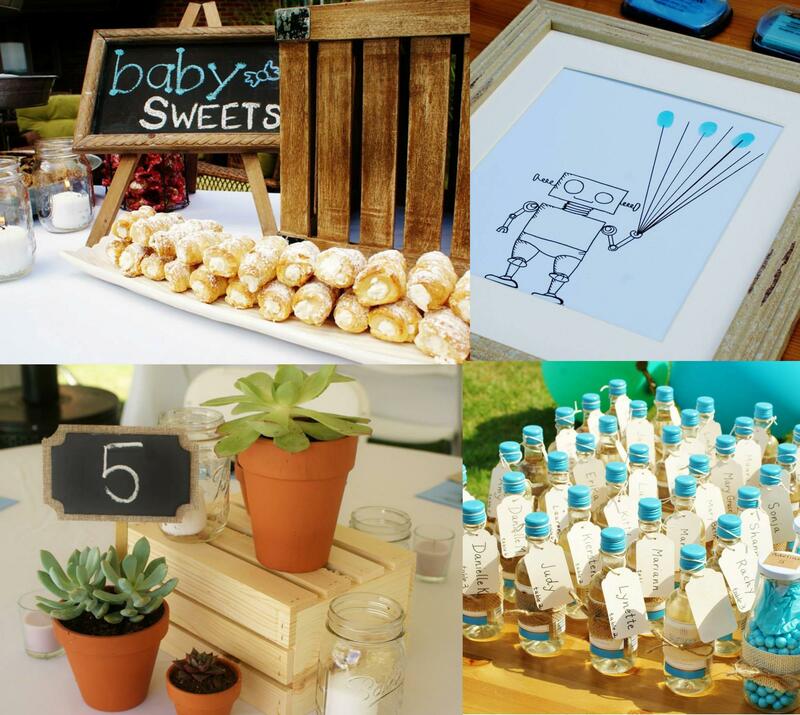 While bridal showers are no doubt fun and exciting to plan, baby showers can be just as exciting but even more difficult to organize. 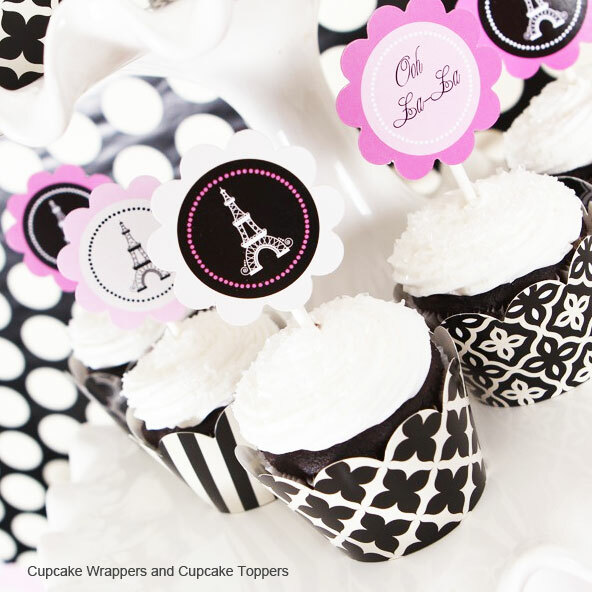 What follows are some great ideas that we hope you will impart at your next shower! Sweet Pea: There are countless ways to weave this theme throughout your shower, most appropriate for a little girl’s arrival! Fill up vases half-way with green peas, then top off with bright gerbera daisies for a sweet touch to your centerpieces and use “Pea in the Pod” mini soaps as favors for each guest. Cowgirl/Cowboy: Add a little whimsy to your gathering with burlap accents, hanging hats, mason jars for drinks or centerpieces, serve fresh-squeezed lemonade and tea, and lean chalkboard signs on the food station denoting where the “Grub” will be served. Hollywood: Think the new girl or boy is bound for stardom? Give your guests and the lady-of-the-hour the star treatment with “paparazzi” as they enter the venue (the men of the family and friends are great! 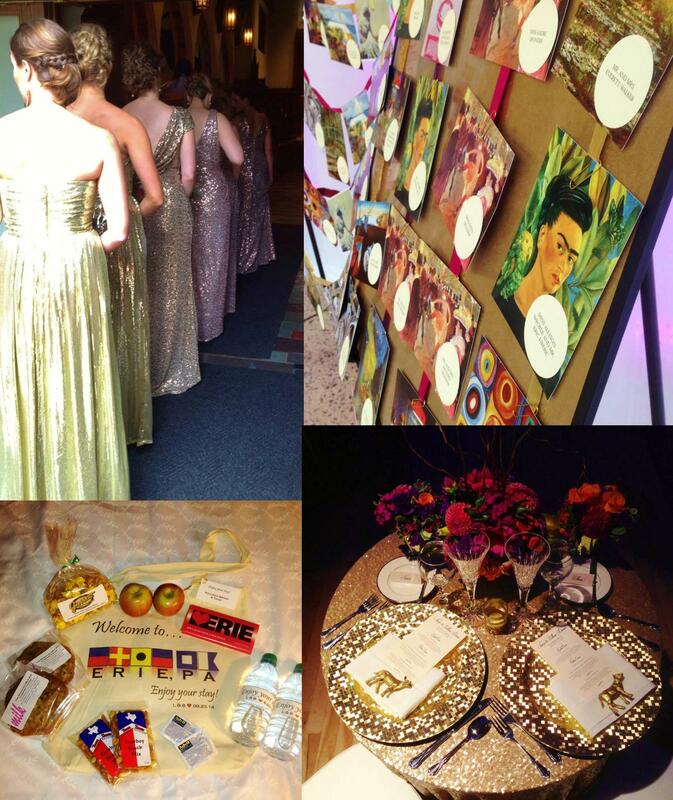 ), feather boas tied to each guest chair, cinema reels and Oscar cookies for favors! Parisian Bebe: Celebrate the romance of this glorious city! Hang or prop up parasols in sophisticated shades like pale pink, blue and black and serve a bounty of French patisserie for dessert. Stage a Parisian backdrop for pictures where each guest can take their turn with props like a beret, scarf, and parasol for their own memorable keepsakes of the day. Baby’s Face: Is your baby bound to get Mommy’s petite nose or Daddy’s hazel eyes? Blonde or brown hair? Hand out a variety of large pictures of Mom and Dad’s faces to each table (or person, depending on the size of the shower) and have guests cut out the features they think baby will end up with and piece them together on colorful construction paper with glue sticks. The pictures can be displayed and everyone can vote for their favorites, with the winner receiving a small treat. Book of Advice: Beginning with the mother of the Mom-to-Be (or another significant woman in her life), write down your most trusted words of advice, encouragement and even funny parenting stories in a small, decorative book for the new parents-to-be. Pass the book around throughout the shower and present it to the MTB at the end of the event. This is a great gift that the new Mommy can then begin to write her own story in for months and years to come. Celeb Babies: To complement a Hollywood theme, consider a fun quiz about everyone’s most loved (or those we love to hate!) celebrity offspring. Think “Brangelina,” “Tomcat,” and Beyonce & Jay-Z (Blue Ivy, anyone?) as the beginning of a humorous game that all can enjoy no matter how much they follow the gossip column. Designer’s Studio: Let your guests put on their creative caps by setting up a Design Studio table at your shower. Purchase non-patterned bibs, onesies and socks as your canvas, and provide non-toxic fabric paints and markers, stencils, iron-on letters or decals (remember to bring the iron! ), and let your guests go to work creating fun, memorable pieces of original art for the new baby. Words of Love: As most parents know, the first few weeks after a new baby is born can be hectic, exhausting and will test any person’s emotional fortitude. Why not set up a way for the new parents to be encouraged each week after the baby is born (up and through the number of guests you have?) Provide a pre-numbered note card to each guest at their place when they arrive, and ask them to write a brief note of support corresponding with the week they’ve been given. 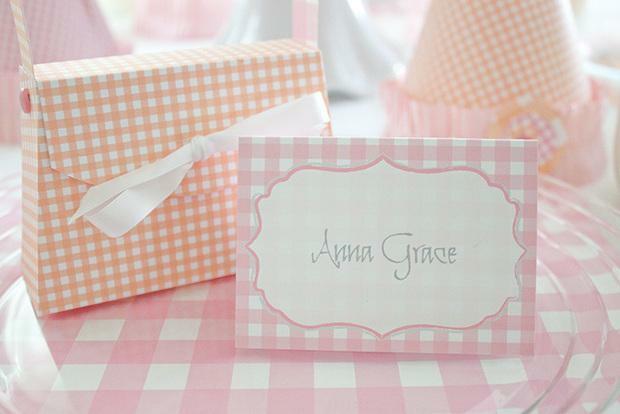 The host/hostess can send out the card to the new parents during the week corresponding to the number on the cards for weeks of welcome love and encouragement. Need help organizing your next shower? Contact Lindsey today at lindseyb@helloproductions.com!